For this Hop I am going to create a Stencil from the CTMH Cricut Cartridge Artbooking! 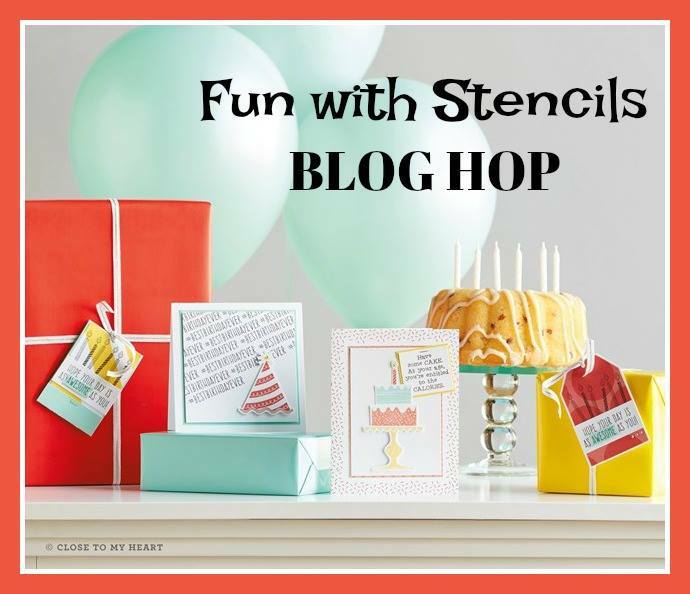 These are so fun to create, and there are endless possibilities! If you are coming from Darlys Recker' Blog you are on the right track. Let's go ahead and get started! 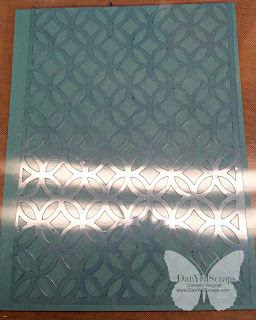 Here is my stencil created using a background from the exclusive CTMH Cricut Cartridge Artbooking. This was intended to be a background for a 12x12 layout, however I resized this, and it was cut at 5.5 x 4.25. I laid this on a lagoon cardstock so it would photograph well. 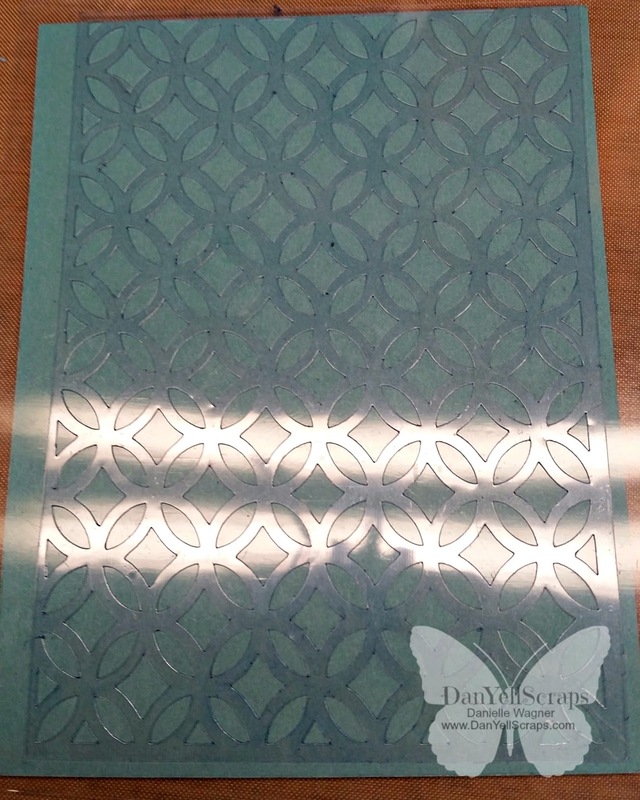 This particular stencil kit is adhesive back and really nice when placed on your project. 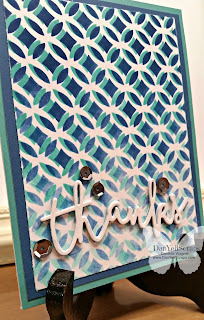 I applied ink in lagoon all over my stencil. I wiped off the ink from the stencil, lifted it from my project, rotated it, and set it back down slightly off set. 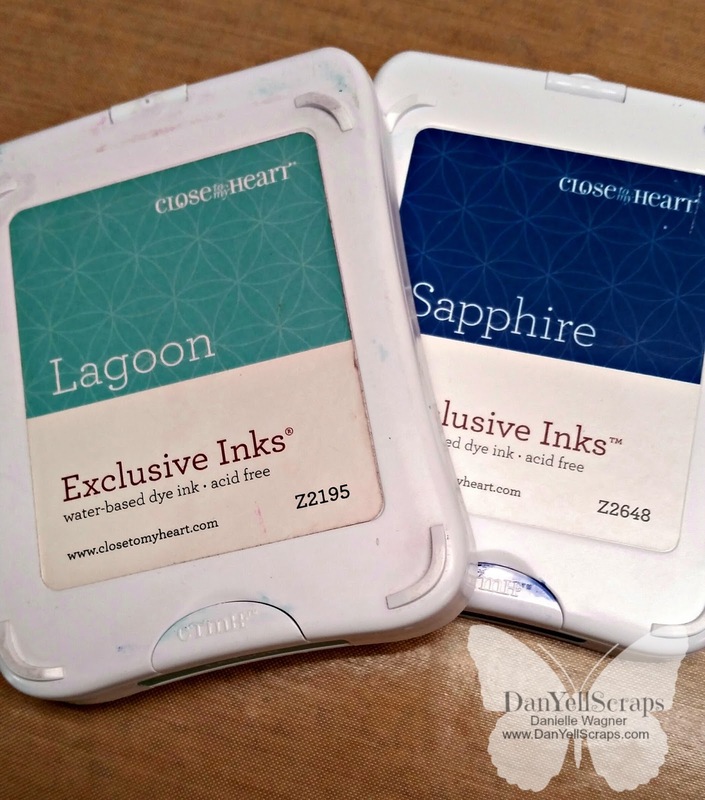 I then applied the sapphire ink. The Inks were applied with sponge daubers, I must say this stencil was rough and 'ate' the daubers up pretty good. So be prepared for that possibility. This first card, I didn't pull the ink all they through the card. I absolutely love this look. The second card, I decided to cover the card completely with ink. I am not as in love with this card, but it is still stunning to me. 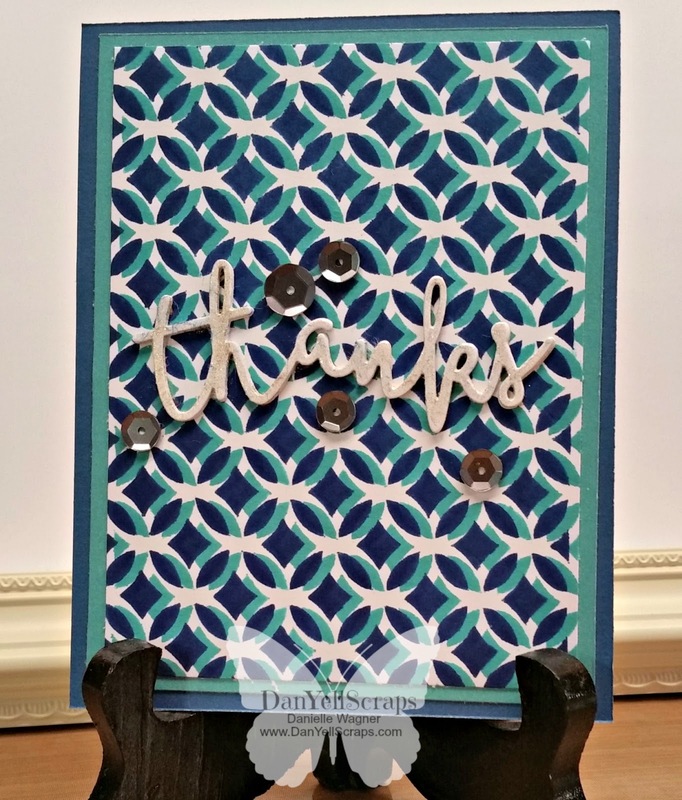 For my sentiment, I die cut 'thanks' 6 times in White Daisy, then adhered them together. I love the result of stacking these! Here are some side views of these sentiments.